Trijo News is part of the cryptocurrency exchange platform Trijo, which plans to open Sweden’s first real crypto exchange. As the process of starting an exchange is much more advanced and time-consuming than starting a news site, we launched Trijo News on March 22, 2018, before the exchange is ready for launch. What is the purpose of Trijo News? 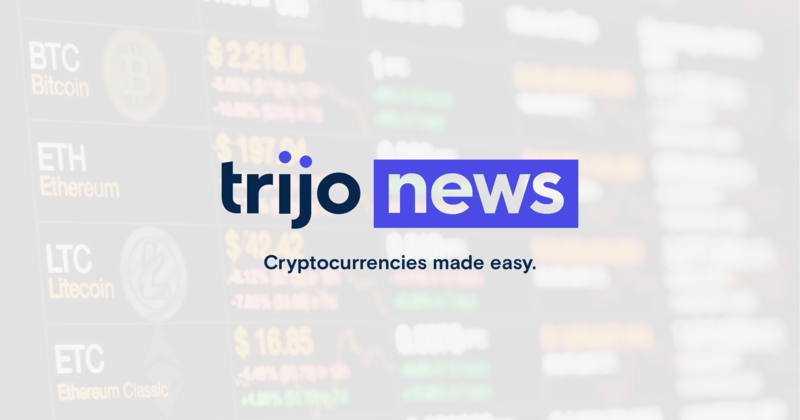 There are clearly several purposes of launching Trijo News, but the most important one of them is to create a platform that not only allows users to buy and sell cryptocurrencies, but also educates people and reports what’s happening in the crypto world. As many of you know, there are a lot of new crypto investors with not much knowledge, so in order to help them make informed decisions, we want to provide an independent news service that is easy to access. Trijo News is owned by Trijo – isn’t that a problem? There may definitely be situations when this is a problem. Even though Trijo News is entirely independent of Trijo, the link between the two could make it difficult for Trijo News to, for example, look into Trijo’s own business in a completely neutral way. The ambition is, however, that Trijo News should stand alone and be journalistic independent from Trijo in the same way as, for example, the Swedish online news site Placera stands alone and is journalistic independent from Avanza, even though the news site is owned by the online broker. Similar arrangements exist on stock exchanges worldwide, but Trijo is the first cryptocurrency exchange to implement this. As a news consumer, however, one should always absorb information with a critical eye. This applies when you read The Wall Street Journal, The Times of India, Washington Post, Trijo News or any other news aggregator. Even though newspapers (including Trijo News) have well-developed methods to conduct independent journalism in a professional manner, there is always a risk that the writer or the opinions of the newspaper as a whole affect what is being said and written. Who decides what is published on Trijo News? The senior manager of Trijo News is the editor-in-chief and publisher Christian Ploog, and it is always he who in the end decides what is published. As editor-in-chief, Christian Ploog has full authority over Trijo News, and not even the CEO of Trijo can influence what is being published or not. This principle is incredibly important to us. The credibility of the entire news site depends on that we never break this rule. If you have any questions that you would like to ask the editor-in-chief and publisher, please do so by sending an email to christian.ploog@trijo.co. How is the news valued at Trijo News? The answer to this question is a mix of several different criteria, but the most important ones are that the news story is true, relevant and has value for the reader when he or she makes decisions about investments and money management. This means that both positive and negative news (for the crypto industry in general) can and will be published. For example, if a country’s authorities make a statement that cryptocurrencies are fraudulent and should be banned, this may have a direct negative effect on the prices of the cryptocurrencies. The sooner we can report this, the faster the readers and users will be able to act to protect their investments. The same thing, of course, goes the other way around too. If something that is positive for the crypto industry happens, we should be as quick as possible to get that news out so that the readers and users as soon as possible have the opportunity to jump on that upgoing trend as well. Does Trijo News have any political color? No, Trijo News is and will continue to be politically independent. We do not take a political standpoint, and we do not try to impose different opinions on the readers. However, it happens that we publish politically colored texts (debate articles and opinions pieces), but in those cases, the articles are always published under the “Opinion” category in the menu, and we always disclose who has written it, so that the readers themselves can form an opinion as to whether the author is credible or not. Thank you for choosing Trijo News. The French startup Ledger allegedly now has a valuation of €260 million.